Puglia…why? For those like us living here, there are many different reasons for choosing this region of the South Italy: because it’s a land of history and ancient traditions, of high quality of life and of authenticity of its food and wine, of sun and sea with great sandy beaches, of wonderful countrysides populated throughout the whole year, characterized by trulli, lamie, traditional local buildings with vaulted ceilings, dry stone walls that surround vineyards and olive groves as far as the eye can see. For centuries it was an important area for the ancient Romans during the Imperial age when the Puglia was a flourishing area for production of grain, oil and wine, becoming the most important exporter to the Eastern provinces. Each dynasty left its own distinctive mark on the architecture, for example the medieval towns. The Baroque of towns like Lecce and Martina Franca are testament to the Spanish legacy. This region, also known Apulia, is the long strip of land, 400km from north to south, that makes up the “heel” of Italy, mostly occupied by plains and hills, bordering the Adriatic Sea in the east, the Ionian Sea in the southwest, and the Strait of Otranto and Gulf of Taranto in the south. The region preserves some DOP marks on its products, including “Vino Primitivo” (a local wine), the oil “Extravergine di Oliva” (it’s wonderful) and a lot of local products (cheeses, pasta, etc. ), which are used into local fantastic dishes. The official language is italian, of course. However some dialects are spoken: in the northen and central section Bari dialect (in the zone of Bari and Foggia), in the southern part of region there are dialects called Tarantino and Salentino. The region is served by two international airports in Bari and Brindisi, and most of the region can be reached from these airports within 1 hour drive. The climate is typically Mediterranean, hot and dry. The temperatures are around 30/35 degrees in summer, 7/13 degrees in winter. 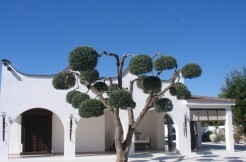 Why choose Puglia to invest in your property? 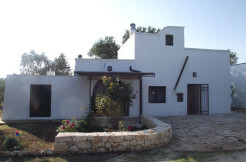 When buying a property in Puglia, you buy not just a house, but you are being welcomed into something that embodies culture and lifestyle… Some reasons could be: high quality of life, the beauty of the landscape, the hospitality of the locals, wonderful climate, good prospects for an economic and cultural growth, an investment at reasonable price.